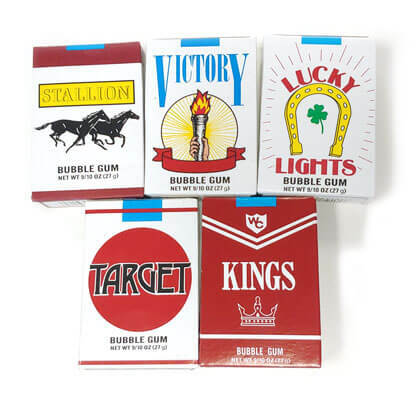 Yummy bubble gum cigarettes that blow a white cloud of candy powder puffs out the end. .90 oz. pack. The cigarette candy that I purchased was magnificent. It tastes so good when you chew it. I hope that others will like it too.